If you know someone that loves camping and you are struggling for ideas on what to get them for Christmas, then we have lots of ideas for you – from main presents to stocking stuffers. 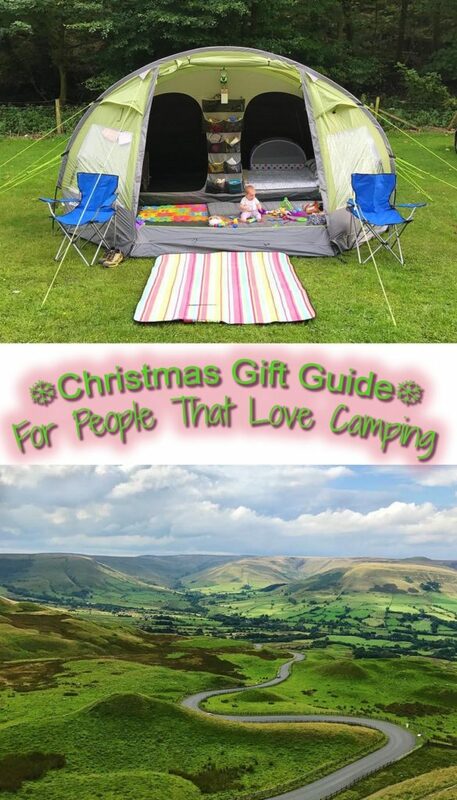 Or if you are looking for some new items to make your family camping trips more enjoyable, we have something for everyone in this Christmas Gift Guide For People That Love Camping. Do you want to be kept up to date on more delicious and healthy recipes like this Christmas Gift Guide? Please subscribe to the blog mailing list (it takes 30 seconds). You will get sent the new recipes straight to your inbox. Your email address won’t be passed on to anyone and you will never be spammed. Gone are the days where we would just pack a pop-up tent, a change of clothes and a case of beer and head off camping. 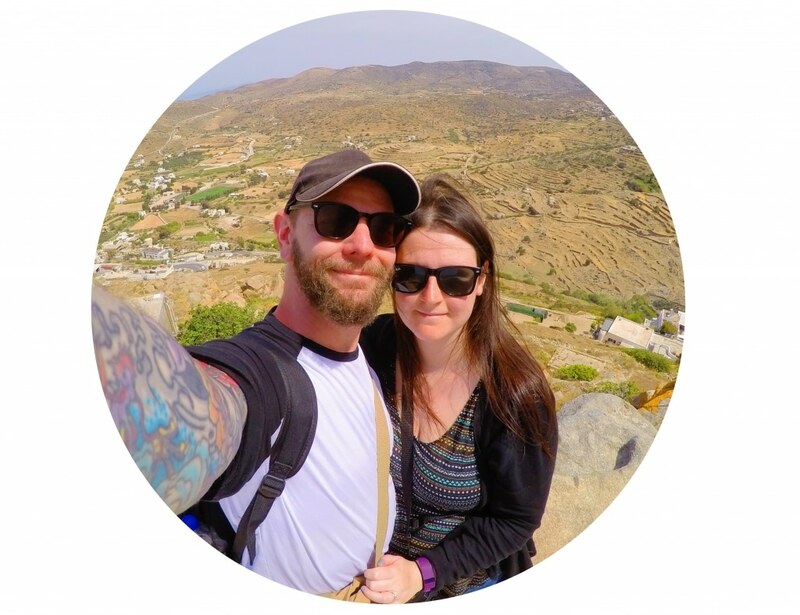 Camping has become a far more comfortable experience for us, as our tent is basically a big fabric house in a field, with lots of little home comforts. All of the benefits of being outdoors, but a comfortable nights sleep, delicious food that’s easy too cook and all those little finishing touches that make it a more enjoyable experience, with less arguments. If you are camping with small children, either they are unable to walk yet or they are going to get tired very quickly. 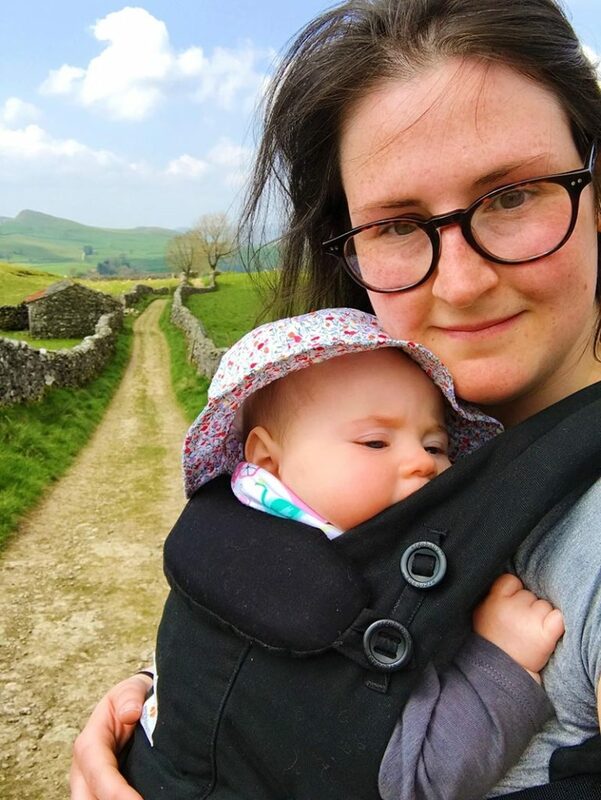 Long walks in the countryside are a must when you are camping, so save your arms from carrying a wiggling baby all the way to the top of a hill and get yourself an Ergobaby carrier. Avery just loves being in hers, as she can see everything that is going on and she is close to us. As a parent, these aren’t just a saviour on camping trip, but when you have a clingy baby that wants to be on you all the time and you need to get stuff done round the house. You can wear the adapt on your back, inward facing or on your hip and they come with some great designs on them. I love enjoying the peace and quite and the sounds of nature when camping, but I also can’t go more than a day without music. The BrightSounds 2 is dubbed the Swiss Army Knife of Bluetooth speakers, and is ideal for camping/caravanning use as it combines three key features in one – as well as being a Bluetooth speaker, there is an ambient LED light and a built-in powerbank to charge a phone/tablet. When you’re just using music and/or light the battery life is around 36 hours. It’s also rugged, water resistant and available in a choice of colours. This is a camping essential for us – a speaker that is also a light and a power bank. It has everything! Having some light can come in really handy when camping, as it gets dark quickly out in the country. When you need to find the bottle opener or even the zip for the tent, as light is a must. What we keep this lantern for mainly is taking it to the toilets, as it’s lightweight. 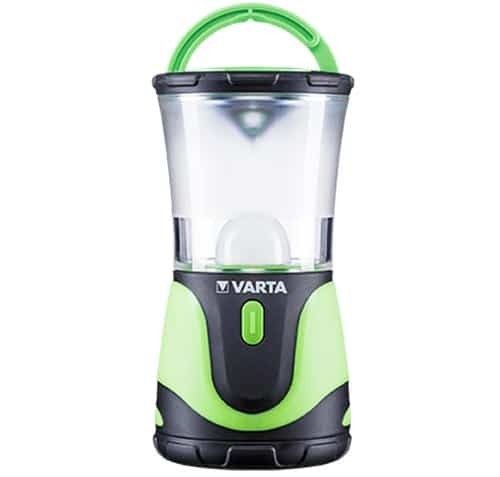 The VARTA Outdoor Sports Lantern has a dimming function, it’s a warm white light, it’s water-resistent and it has a little hook on it too, so you can hang it up in your tent, or on a tree/toilet cubicle. If you have ever gone camping in bad weather, and let’s face it if you have gone camping in the UK then you probably have, then you know how dirty the tent can get. Sometimes you are fighting a losing battle to clean it up as you go along, but you want to make sure that you clean it before you pack it away. Believe me, opening up a dirty tent at the beginning of your next camping trip is no fun. 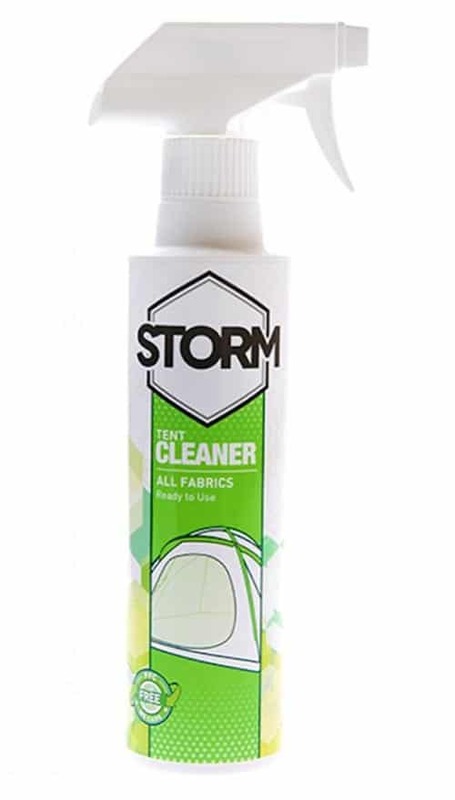 Storm Tent Cleaner would make a great little stocking filler for someone that loves camping. It is suitable for tents, covers and fabric surfaces and is the ideal preparation for a re-proofing treatment. The concentrated spray-on cleaner helps remove general dirt, tree sap or bird lime, without damaging the original waterproof coating. 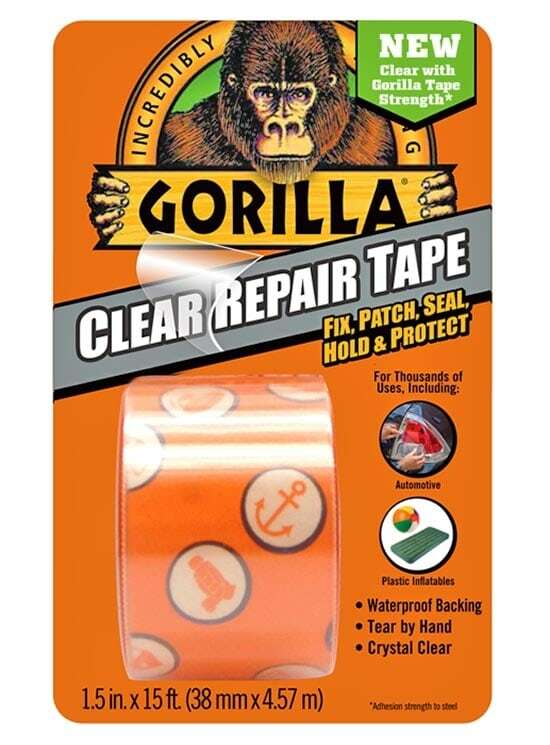 Another great little stocking filler for someone that loves camping is Gorrilla Tape. It literally fixes almost everything and you never know when you are going to need it. If you get a rip in your tent in the middle of the night and the weather is crazy, you are going to want some of this. It holds on to rough surfaces, is weather resistant and ferociously strong. Don’t go camping without it. 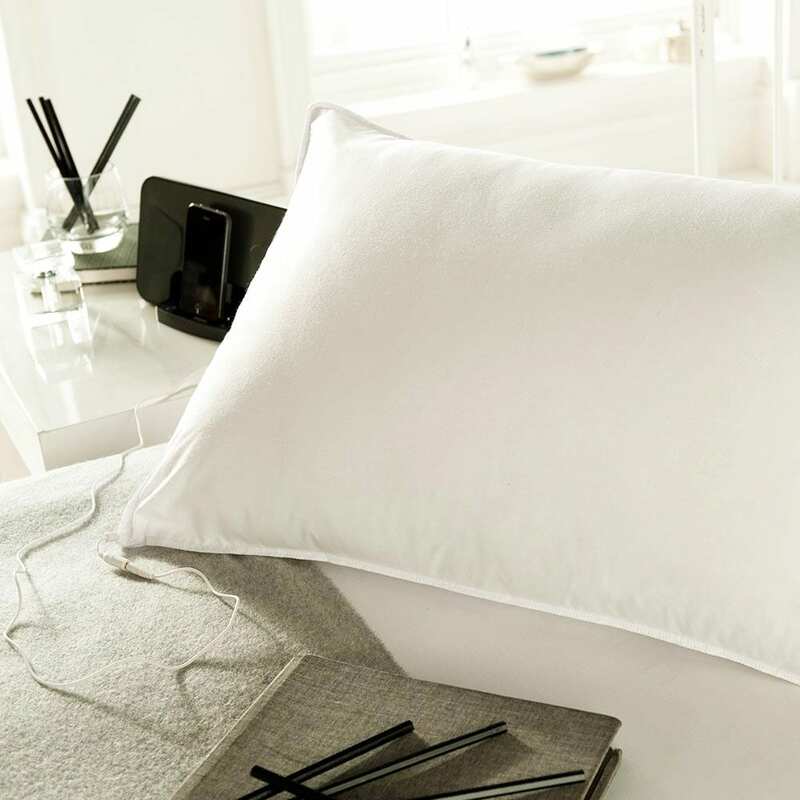 If you find the sounds of nature keeping you awake rather than relax you, then a Sound Asleep Pillow is a camping must. Just lay your head down and listen to music as you drift off. It has a speaker built inside it, so you just plug in your device and listen without any headphones and it doesn’t disturb those around you either. I did wonder if it would be comfy or not, but it really was. Drifting off to the sounds of my favourite band whilst my other ear heard the trees rustling was perfect. If you have been camping with kids, then you will know just how much extra stuff you need to take with you. We are getting a bit better with taking less and less, but especially with a young baby, you want to make sure they have some familiar comforts from home in their new surroundings. 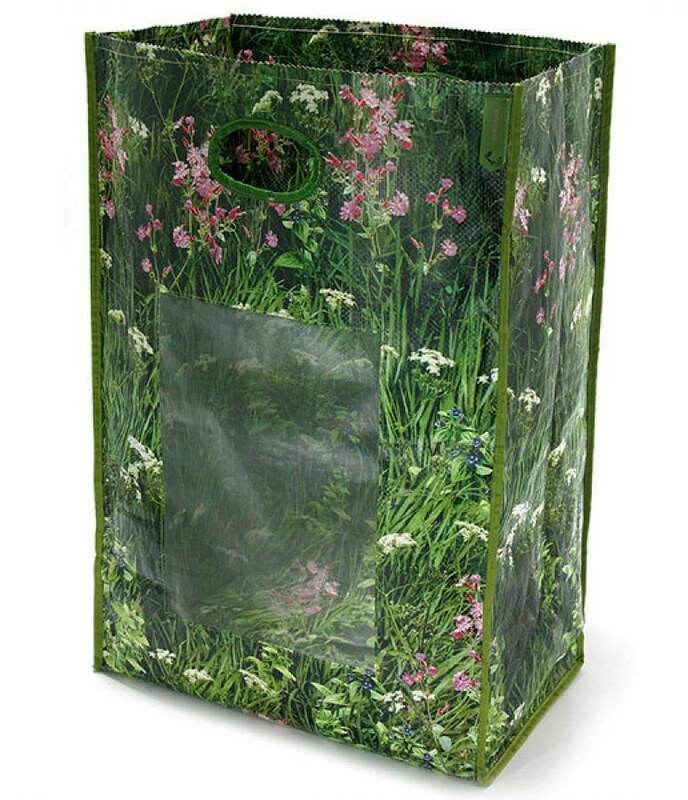 All this stuff can clutter up a small space quickly, so when you have finished using it, pop it in to a Space Saving Bag from The Camouflage Company. This keeps our tent a little more organised and stops us tripping over everything. It’s light, strong, and folds away easily for your next camping trip. One of the best parts of camping in my opinion is cooking. Getting back to basics without a kitchen and focusing on fuss-free meals that you can cook and eat outside your tent. We always used to take disposable BBQs, but not only did they constantly fail us, but it got expensive keep buying them. Taking this Tabletop BBQ Smoker from Sous Chef, literally changed the way we eat when camping. It is small and lightweight, making it easy to carry around and you can use it as a BBQ and smoker. Fill the bottom of the BBQ smoker with charcoal and use as a conventional barbecue. 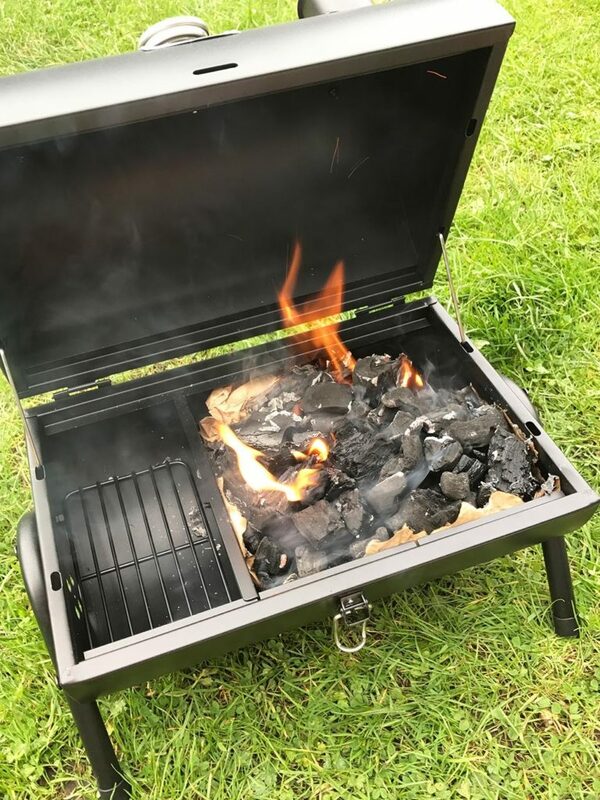 Or use the marked sections to burn charcoal and wood chips just on one side – close the lid, adjust the vents, and you have yourself a smoker! The tabletop BBQ smoker comes with grills for charcoal and food, adjustable air vents in the top and sides and a thermometer to monitor the internal temperature. Another great little stocking filler for anyone that spends a lot of time outdoors is the Bare Republic Drewberry Lip Balm Sunscreen. It is a ultra-hydrating lip balm and you have confidence knowing that you are applying the latest in sunscreen technology: no parabens, no retinyl palmitate, no synthetic fragrances, no worries! We love that it is a cruelty free brand too. 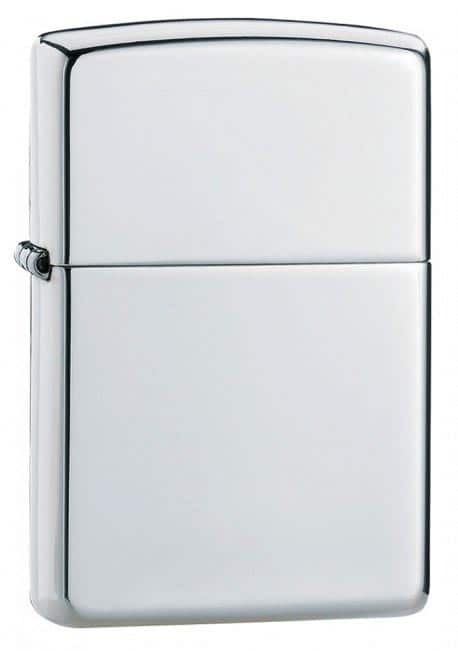 The Zippo Windproof Lighter is probably the ultimate outdoor tool, as you never know when you are going to need to light a fire. Another great little stocking filler for anyone that loves spending time outdoors, it features windproof technology and comes with a lifetime guarantee. And there are hundreds of designs too. Camping is thirsty work, what with all that walking you are going to do and it’s important to stay hydrated. You are also going to need water for cooking and making that morning coffee and you don’t want to be walking over to the communal tap every time you want a drink or every meal time. Get yourself a Big Bottle, and then you can just fill that up and keep it in your tent. 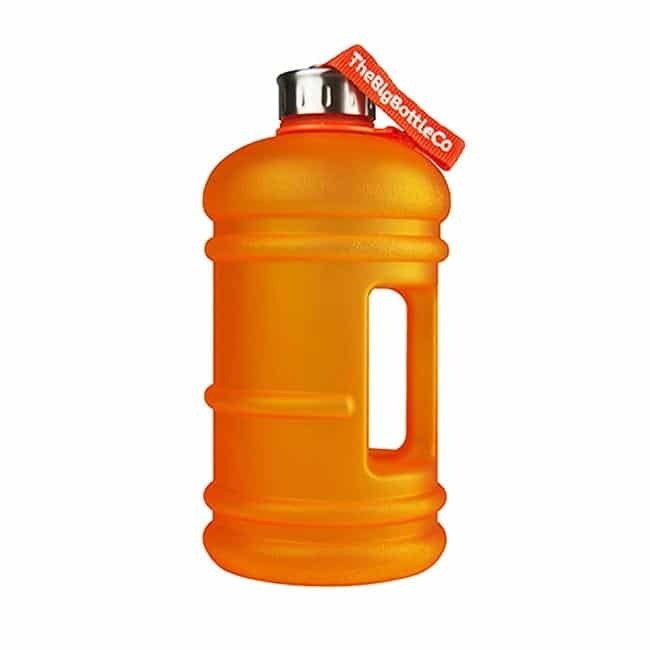 They come in 12 different colours and hold 2.2 litres each (which is also your recommended daily amount). 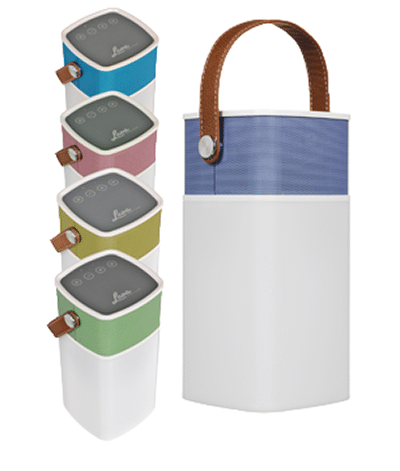 They are BPA and BPS free and sustainable and reusable. 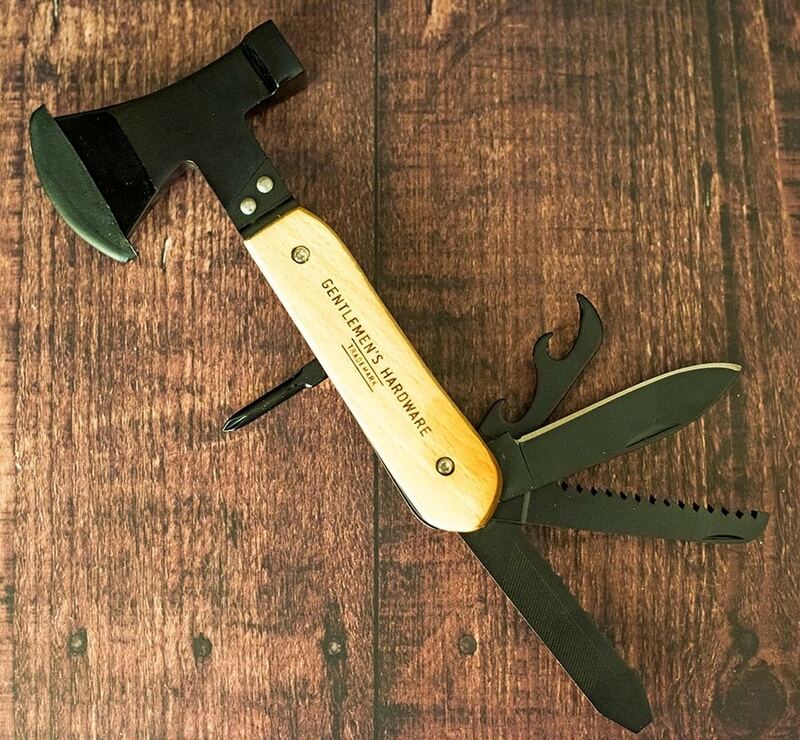 Not just for men, Gentlemen’s Hardware from Hurn and Hurn is a handy multi tool, ideal for camping, adventures and jobs around the home. It is a 10 in 1 tool that includes a kindling axe, penknife, 2 saws, bottle opener, mini mallet, can opener, file, flat head and cross head screwdrivers. Really, it has everything you need and Dave used pretty much every feature of it on our camping trip. It has a beechwood handle and it folds away easily. I would have definitely bought this for Dave as a stocking filler if we didn’t have one already. A cup of coffee in the morning is a must when camping and a luxury that I am not willing to give up. It can get really cold at night in a tent, and having that hot cup of coffee to look forward in the morning can get you through the night. We always take a gas stove with us, and this Enamel Stove Kettle goes on it to make an easy cup of coffee in the morning. 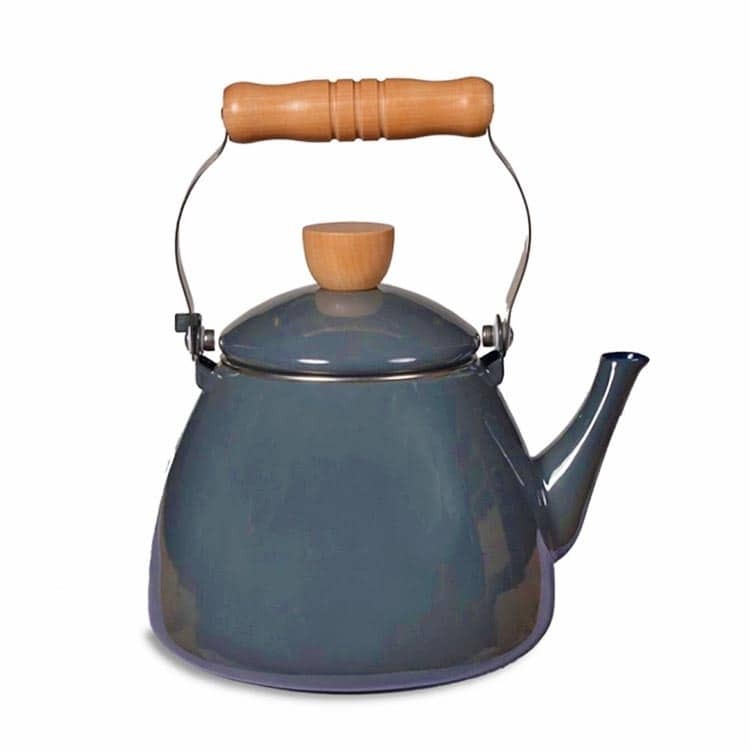 It is suitable for gas hobs, aga or range cooker (not induction hobs) and enamel with a wooden handle. It has a capacity of 2L to, so plenty of hot water for everyone. 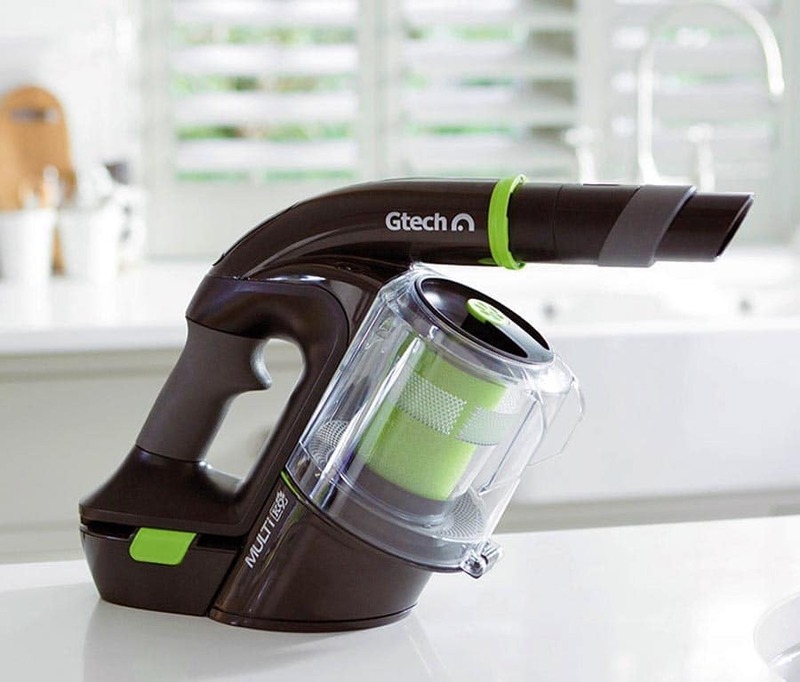 The Gtech Multi Cordless handheld is ideal for cleaning all the hard to reach places in the home, car and tent. We had a quick whizz round the tent every morning with this to get rid of the food crumbs and mud from our boots and it kept the tent as clean as we could. The Multi’s attachments provide nine different ways to vacuum, enabling it to twist and turn, reach up high and low, clean hard and soft surfaces; and its twin LED lights will ensure that no nook or cranny is a safe haven for dust and debris. You can also get an additional Car Cleaning Kit which includes three additional tools that are specially designed to help you clean those awkward spots inside the car – perfect for all the mud that falls off your boots from long country walks. All of these products were sent to us to review, however, all opinions are our own. These are Awesome stuff, I’m a huge fan of camping and an even bigger fan of Christmas! Thanks for sharing! I used to love camping growing up! These items will definitely come in handy for my boyfriend who loves being outdoors! Awesome stuff, this is is just the sort of thing that I was looking for! I’m a huge fan of camping and an even bigger fan of Christmas! I love the look of that carrier. Looks so snug. I still haven’t been camping with my kids – i’m too much of a baby haha! My partner wants too though. I will admit- I live in the PNW and am NOT a camping fan. However, even I would take the Ergo because I absolutely love babywearing! What a great list – we go camping every year so some of these thinks look reasonably reasonable! Love going camping and this is such a useful checklist! Thanks for sharing mama! I go for camping a lot and these are really cool suggestions for that purpose. I liked the BBQ Smoker, Knife and that cute Kettle.